Dr. Deborah MacNamara is on Faculty at the Neufeld Institute and in private practice offering counselling and educational services. She works individually with parents and professionals to make sense of learning, behavioural and developmental issues with children and adolescents. Deborah regularly presents on child and adolescent development to parents and child care, education and mental health professionals. Her particular interests and passion are in providing insight into preschooler behaviour, helping adolescent’s transition to adulthood, and walking people through the journey of parenthood. Deborah is an experienced teacher and counsellor with over 17 years experience working with children, youth and adults. She has also worked at leading educational institutions such as the University of British Columbia and Kwantlen Polytechnic as a researcher, counsellor, and teacher. 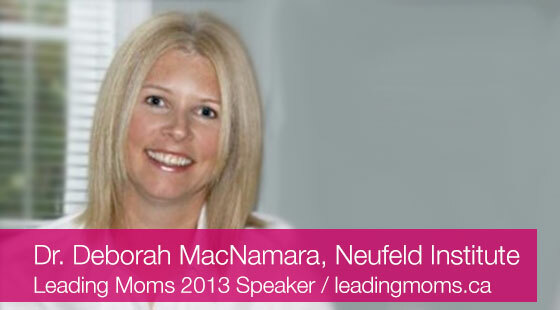 Her articles and interviews have been seen and heard in parenting magazines, websites, and newsletters across Canada and internationally including Australia’s “Nurture” Natural Parenting Magazine where she is a regular contributor.